Welcome to Fort Worth, the 16th-largest city in the United States and one of “America’s Most Livable Communities.” Today, Fort Worth, Texas is a thriving center of culture, cowboys and commerce. Visitors are often surprised by everything Fort Worth has to offer: the Historic Stockyards, remarkable museums, a dazzling downtown area, Texas Motor Speedway, spectacular annual events and a lot more. Fort Worth hosts a big variety of special events throughout the year — from street festivals and blockbuster art shows to major concerts and exciting sports. Check out our calendar of events on our web site for happenings of interest to you. 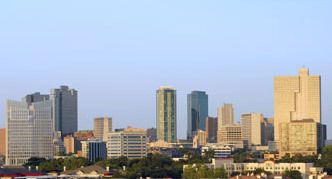 Shopping in Fort Worth is an attraction in itself. Whatever you’re looking for, you’re very likely to find it here – from fabulous to funky, from classy to casual. The city is home to national department stores, one-of-a-kind boutiques, upscale shops, flea markets, antique stores, and some of the finest malls in the Southwest. Plus, Fort Worth is perhaps the best place in America to find high-quality Western wear. When the sun goes down, Fort Worth really comes alive. Opportunities such as nightclubs, restaurants, movies, and live theaters abound. For more information, please visit our web site via the link in the left column.